Yesterday I traveled with students in the summer course Community Informatics Studio to Chicago to look at three public computing facilities. The Mac lab at the Puerto Rican Cultural Center is a more traditional looking lab with eight to ten computers lined up on either side of a table in the center of the room. But the youth are doing very creative activities engaging youth in critical evaluation of their realities and self-reliance and social responsibility. Examples of some of their work can be found linked from the Youth Community Informatics website. 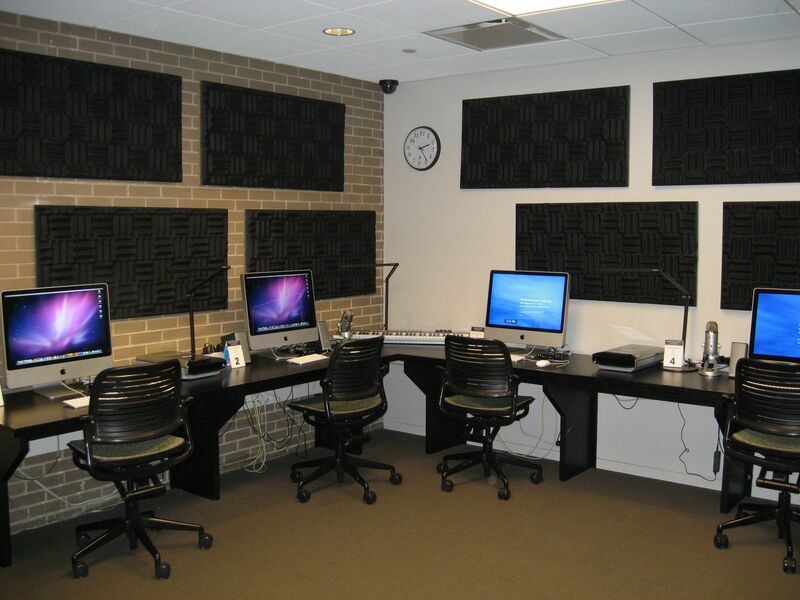 Skokie Public Library has a new Digital Media Lab enabling community members to creatively express themselves through photo, audio, video, and archiving projects. They also have an accessibility lab, traditional library computer labs , and newer carrels with outlets for laptop users (laptops are also available for checkout). The YouMedia space at the Harold Washington Public Library represents first and foremost a collaborative and learning space. Their goal is to reshape what it means to learn. They have some 60+ laptops available for checkout, tables with built-in power strips that can be rearranged by the youth as they see fit, game stations, circular computer work areas, nooks with moving screens to create private spaces, a recording studio, and lots of open space to allow for spontaneous collaboration. The space is also equipped with books, videos, board games, and other more traditional “technology”. Our challenge this semester is to begin developing a framework to understand how to best equip public computing centers. But first we’ll need to struggle with distinctions between computer labs and collaborative spaces. The Skokie computer labs were very heavily used. Indeed, although laptops are now available for checkout at Skokie many still prefer the traditional lab space. They find help close at hand and that the format of computer and layout serves them just fine. But the YouMedia space also indicates a clear need for more new labs whose focus is first and foremost on being spaces for collaboration. I look forward to working together this semester to struggle with this problem and to begin documenting some of the underlying principles that seem to transcend specific implementations.